The Foyer Folk do not spend their days working directly with the students although, in fact, they often do so on an individual basis. With offices and desks, and in some cases, living quarters, in the grand old foyer building, these six individuals have deeper roots in the school than the great majority of us who work in the Pavillon. They are also a very international group, representing four countries. 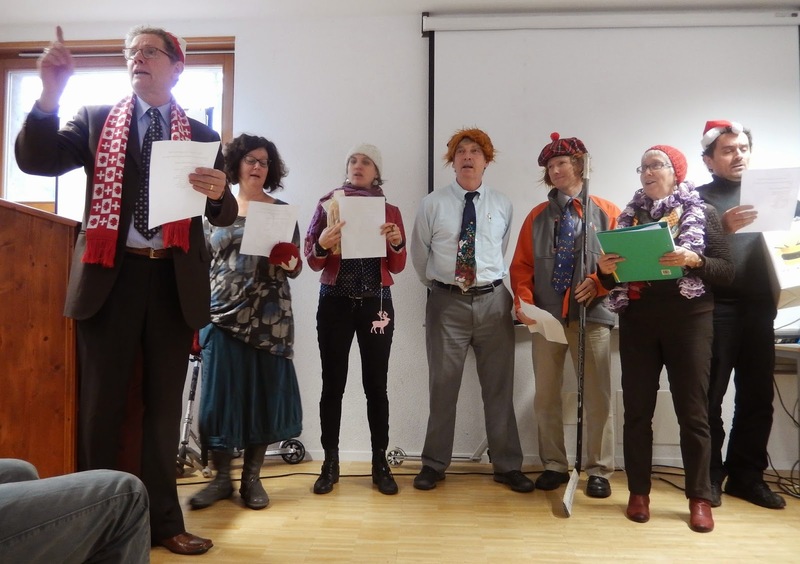 Bill leads teachers and support staff in our rendition of the 12 Days of Neuchâtel at the Christmas assembly. Our leader, the Head of School, Bill Boyer, has been the face of Neuchâtel Junior College for the past 6 years and 25 years ago, he was here for three years as principal, so, like Dan, he has an extensive knowledge of this community. He is also strongly associated with the foyer building since he resides on the second floor. Bill's warm and gentle manner works well to put students and staff at ease from the moment they meet him. Like many others in leadership positions, Bill juggles a lot of responsibilities. 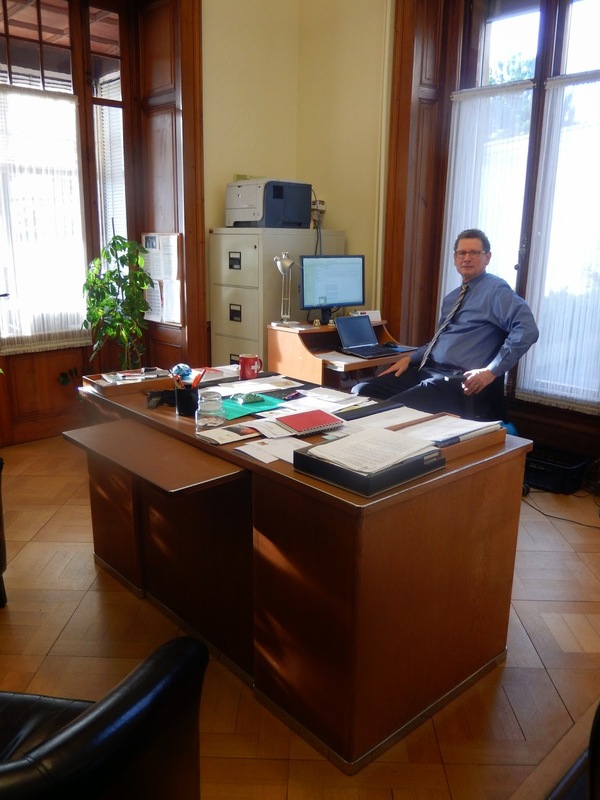 He is sometimes a teacher – every Monday, he runs a French conversational class for a small group of students, while every Thursday, he organizes our weekly assembly; he is also a member of various boards and committees, both here in Switzerland and in Canada. As a result, he must often travel - in the fall to Canada for the CAIS conference, or, most recently, to Geneva for a meeting of the ISAS. Both organizations are for Independent Schools. Bill is at his happiest when he can fit hockey into his day, either by playing goal, or by going on excursions to games with the students and members of the Swiss/Canadian Chamber of Commerce. 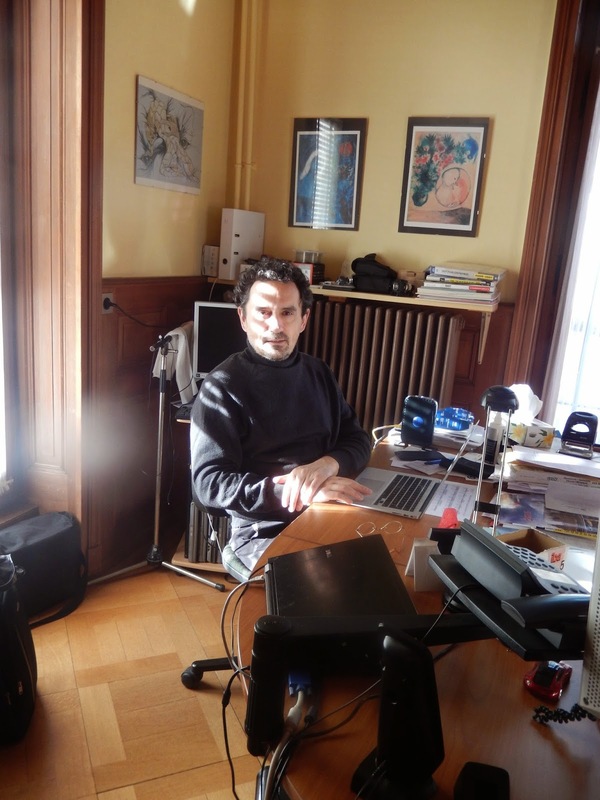 The other male staff member who can be found at work in the Foyer building is Diego Corti, our IT specialist for the past seven years. Diego is a native Swiss whose family has roots in the southern part of the country, near the Italian border. Like a true European, Diego cycles to work every day. He is a computer whiz from whom I have learned a great deal. When someone's hard drive crashes – something that has happened to a couple of unfortunate students – it is Diego to the rescue! Fortunately, I have never been in this predicament, in part because Diego recently loaned me an external hard drive when my computer was on the brink of exploding under the weight of all the photos on it. I expect to rely on Diego over the next few months as I work with the students to put together this year's yearbook. Besides his job at NJC, Diego also works in the city, training teacher candidates in research methodology. 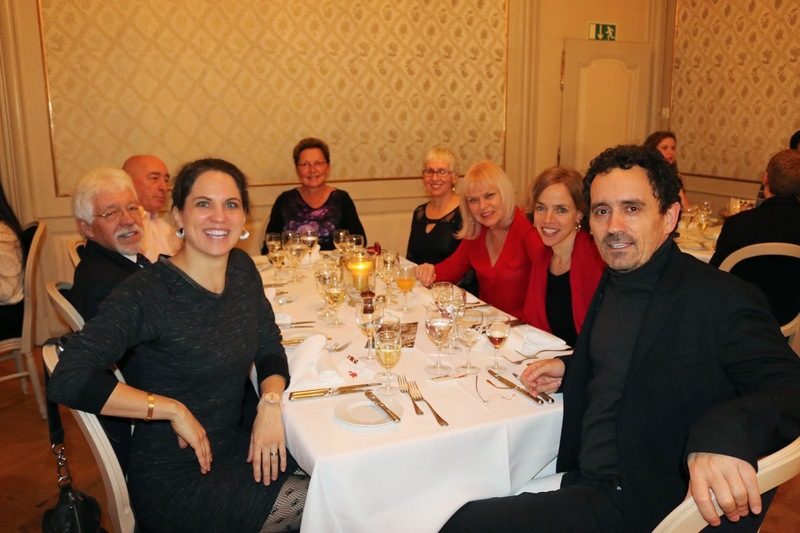 Diego heads our table at our Christmas dinner at l'Hotel du Peyrou. His wife, Christine, is directly behind him. Sandra Gauchet, our school accountant, is another part-timer. 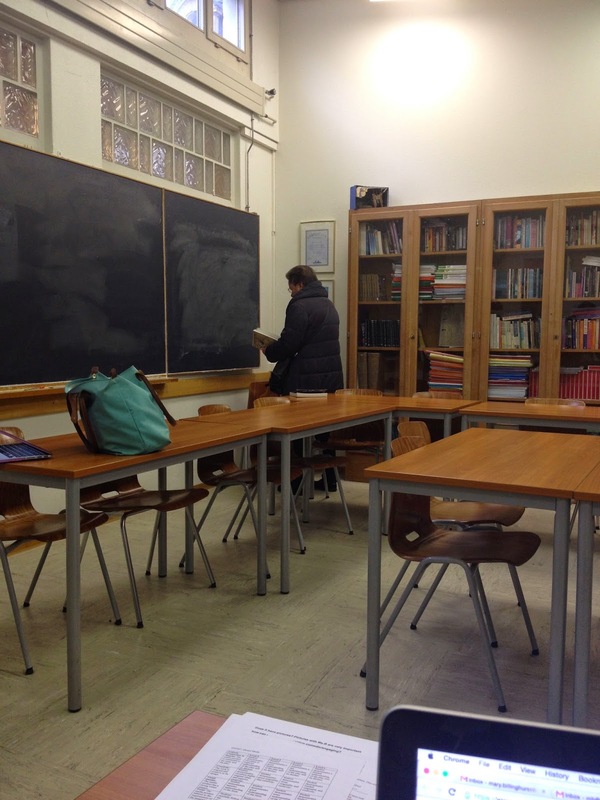 We new teachers have all worked closely with her in order to figure out all the deductions that come off our paycheques, as we adjust to the Swiss insurance, pension and tax systems. Sandra is also in charge of petty cash; if we make a purchase for our classrooms or our apartments, Sandra will reimburse us, as long as our demands are not unreasonable. 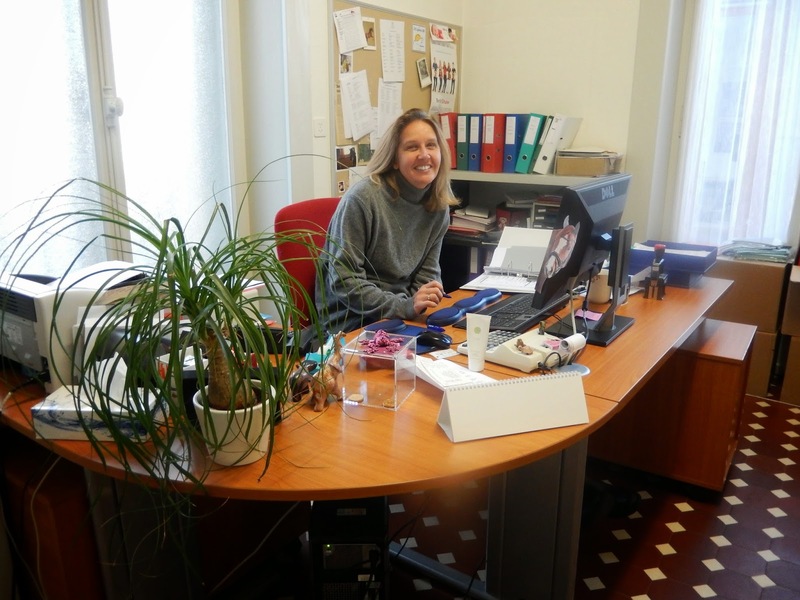 A school like Neuchâtel is a complex place, with students who have arrived from abroad, numerous trips and many sundry expenses but Sandra has everything under control. 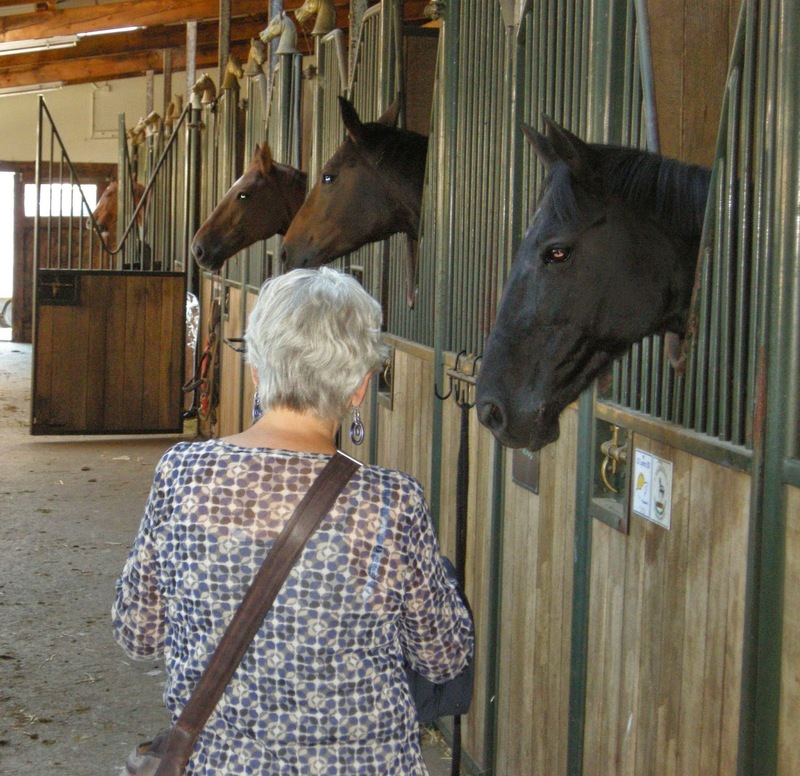 When she is not at work, Sandra enjoys her home in Lignières, where she and her husband, a former member of the Swiss Equestrian team, board horses and give riding lessons. When we visited her on the weekend of the Désalpes, we met many of these beautiful animals. Sandra, ready to balance the books. I met some of Sandra's horses in September. Louise is the only office staff member who works full time at NJC. A native of London, England, Louise has lived in Switzerland for most of her adult life and has been at the school for 11 years. She wears many hats as office administrator. On a daily basis, she keeps track of student attendance; when visitors arrive at the school, she is the first person they will meet. 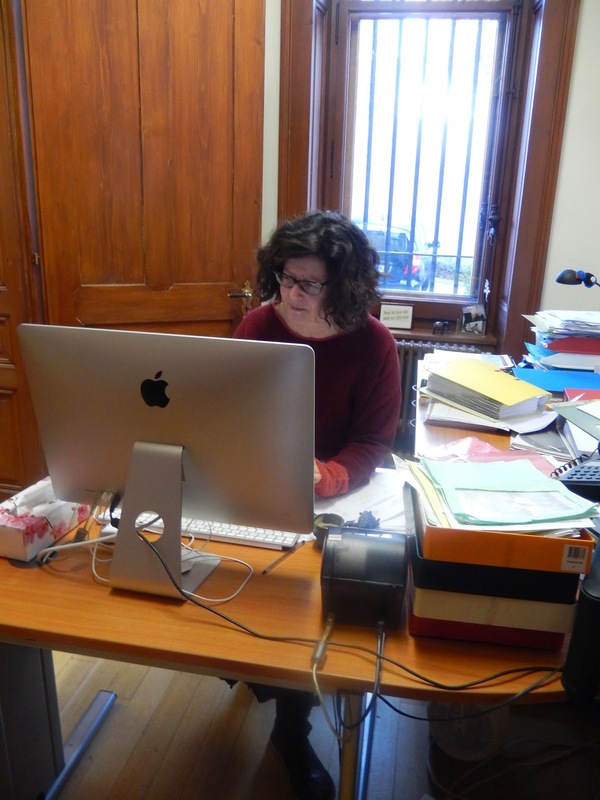 Louise's main role, however, as guidance support, is to work closely with the students' pension families, the local folk who billet them for the year. 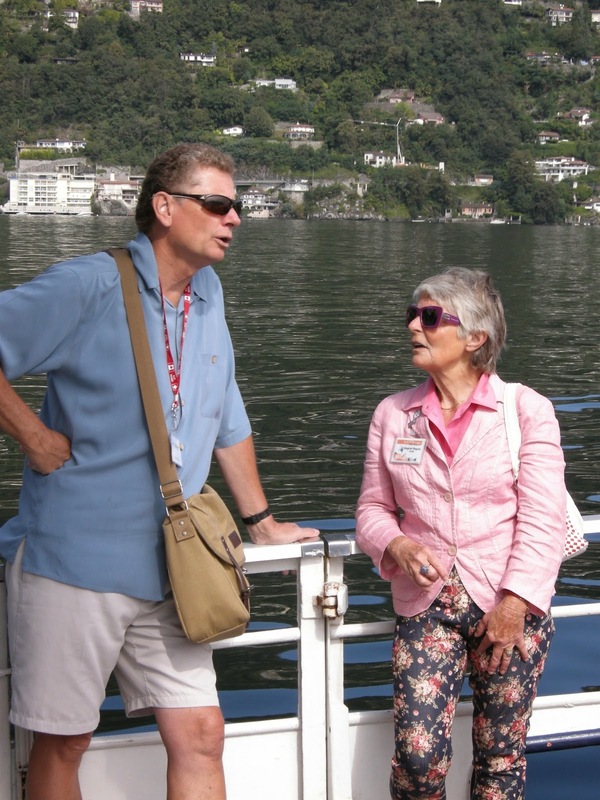 As soon as the students arrive in Switzerland, Louise goes to work; she interviews them and observes them in order to find a good fit for them all. She knows the pension families well, some of whom have been associated with NJC for many years, and even after students are placed, Louise is in frequent contact with them, sometimes as a problem solver, or simply to keep the lines of communication open. Because the students get to know Louise early in their time here, they trust her and come to her with their problems. This year, this has translated into several trips to the hospital or to the passport office. Louise looking busy and avoiding my camera. Like Bill, Eila Mättää, our caretaker, lives on site, on the third floor of the foyer building – with her partner, Raymond, and her son, Claudio. A woman of many languages – she speaks French, English, Swedish, Italian and her native tongue, Finnish – Eila has been at the school for 23 years. She is in charge of school maintenance, which means she takes care of three buildings, the Pavillon, the Foyer, and the student centre. The latter space is the most challenging one to keep clean, as the students often need to be reminded to pick up after themselves. (They are teenagers, after all.) Another responsibility that Eila has is to keep track of school supplies, particularly books that need to be ordered and distributed. These are stored in the school bomb shelter (yes, we have a bomb shelter) where Eila keeps records of each item that is sold. Early in the year, Eila was very helpful to Bob and me, driving him to Jumbo (the Swiss Home Depot) to get plywood for our unstable Ikea bed. Eila and her partner, Raymond. Eila brought books to my room recently. She avoids the camera even more than Louise. The final member of the Foyer Folks, is Lyn Perrenoud, who has been at NJC for over 35 years. Like Louise, Lyn is a native Londoner, but she is now a naturalized Swiss citizen. She and I bonded early over our shared admiration for Roger Federer. 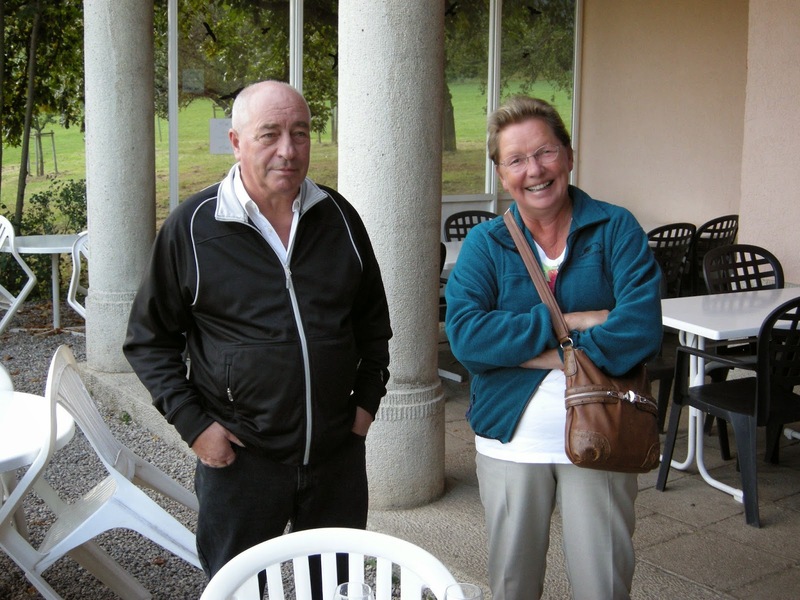 In fact, it was Lyn who obtained tickets to the Davis Cup for us in September. I did not know then that getting tickets is what Lyn does: her job is to organize the school trips. Over the years, she has learned where the best deals are, who the best guides are, and what activities would best suit our school population. 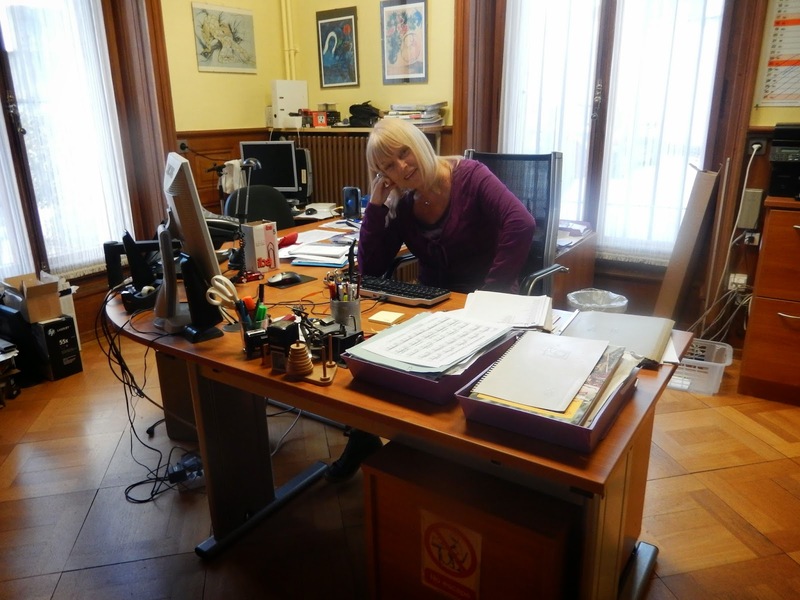 Lyn is a passionate ambassador of the city of Neuchâtel and of the school. When we have upcoming adventures, Lyn provides the students with what they need to know, and really builds their excitement. She may be the senior member of the staff, but we all wish we had half of her energy! By the way, Lyn's husband, Roger, makes a delectable tomato fondue, which Bob and I enjoyed one evening in September. 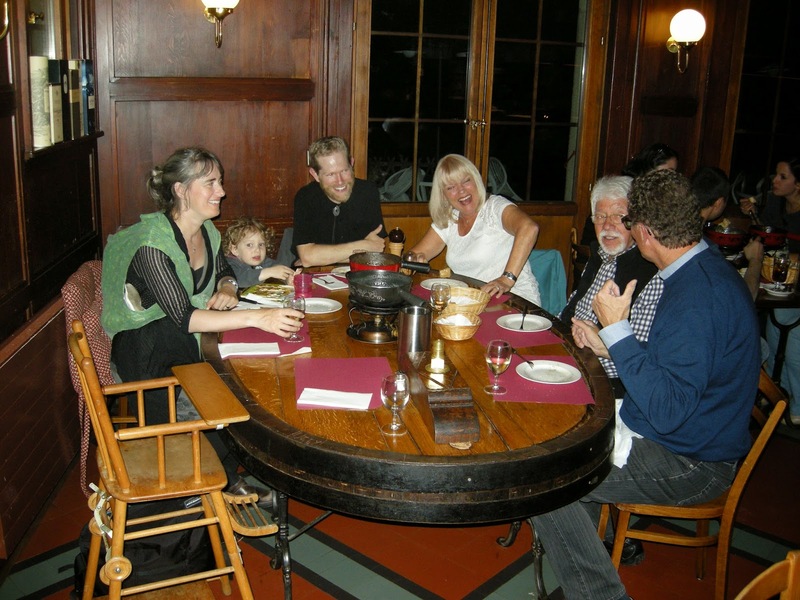 Lyn and her husband, Roger, enjoy fondue with the Bellamys and Bill. While I have separated the Pavillon Posse from the Foyer Folks, we really are just one happy family. Our small staff enjoy working together and we need each other. We all know the parts we must play and, fortunately, we are a reliable and capable bunch. Perhaps because so many of us come from elsewhere, we make a point of spending time together, too. 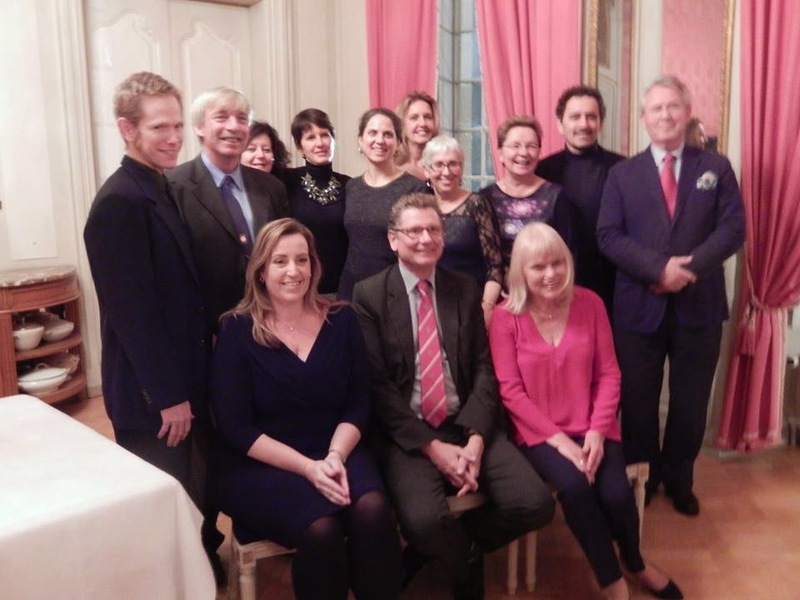 There are school events: an outing for cheese fondue at Pinte de Pierre-a-Bot to start the year, Thanksgiving dinner, and a Christmas feast; and informal gatherings at local restaurants or at each other's homes. 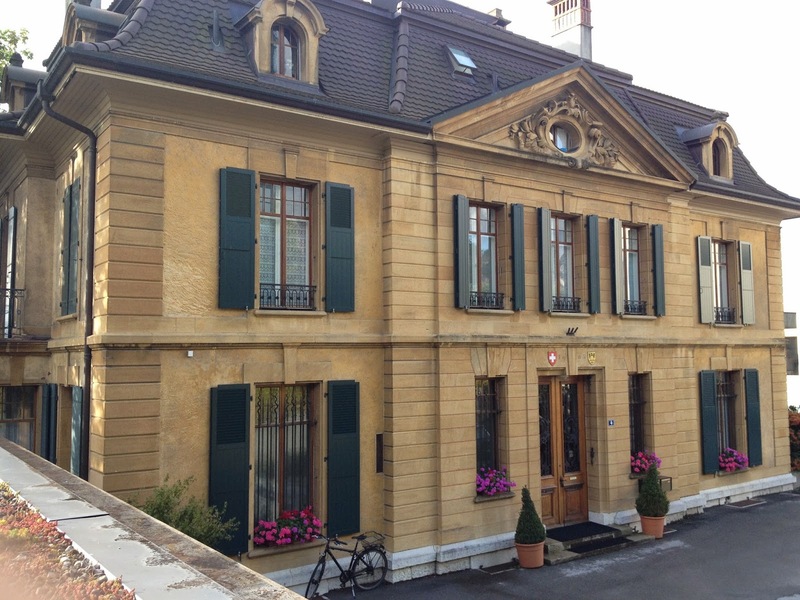 The thirteen people I have written about in this and last week's blog are my Neuchâtel family. I look forward to seeing them every day.